The theme of this conference is “Law and Justice within Indigenous Communities”. BUT for there to be a real rule of law and true justice for our people, then the Law our people have assented to for thousands of years must be understood and recognised by all Australians. This will require an education and negotiation process between the Australian government and our Traditional Parliaments. This morning I want to start that education by talking about our law that Yolŋu people from north-east Arnhem Land have assented to for many generations. First we must remember that in different regions across Australia other groups of first Australians (Aboriginal people) have their own law and I have no right to talk about their Law systems. Having said that, I must say that all the first Australian peoples have a common foundation of Law. This common foundation of Law still exists even where some of these peoples may have lost many elements of their particular Law. Even where they have lost most of the elements of their Law they still have a common foundation of law together with us and all other first Australians. It is the common law of this land that precedes all laws and systems of law. It does not matter how hard others try to deny and suppress this fact, we still have a common foundation of Law that has been practiced in this land since the beginning of human history. However all of my comments this morning will refer to the traditional Law of the Yolŋu people from north-east Arnhem Land of which I am first, a citizen, and second a political leader. I am a citizen because like all Yolŋu people I have assented to our Law through a ceremonial process called Waṉa Lupthun. And although we have been telling the NT and Australian Governments this for many years, still no one seems to want to understand or recognise that we are citizens of our own Clans and Nation States; it’s like we are a non people and no one can hear us or have serious dialogue and diplomatic relationships with us. Strangely though, although we have assented to our own Law we have never assented to the Law of the Federation of Australian or any of its States or Territories: what we call “Balanda Law”. Some of us know that this new Australian Law does try to protect and nurture us but we still find it very strange, unfamiliar and very confusing – and it continues to offend us by opposing, harming and destroying us and our rights established under the Original Law of this land. Let’s hope one day that things will change and we will be respected as a real sovereign people. Then other Australians will sit down and talk to us about some real solutions to the problems we face. This would begin a new era of hope and prosperity where a true rule of Law existed, offering law and justice on an equal footing to all the people of this land. Then we would start to solve some of the very difficult problems we face and change the very uncertain, dismal and sometimes frightening future that many of our people face. Let me start by explaining the Yolŋu system of Law (Rom) that is called the Madayin [ma – day – in]. I think it is very hard to translate this term Madayin into English as English does not seem to have a word like Madayin. The closest picture I can give you is like when we say, “The Westminster system of law”, we are talking about all the laws and legal processes and practices that come from the Westminster origins. In many ways the Madayin can be used in the same way as the “Westminster system of law” as the Madayin is the name for our complete system of Law. When we think about the Madayin we think about all our law that relates to our rights from personal, property, our corporate clan rights through to the highest rights we have as citizens of our Riŋgitj Nation States. The Madayin also covers our legal institutions like our parliaments, legal teaching places and processes for dispute resolution, which most English speakers call “ceremonies”. We call these places “Madayin places” and like most legal places they all are restricted in one way or another. The Madayin also controls and determines the process we carry out at these Madayin places and how we interact with each other legally. These processes are called by their different names but can also be called Madayin dhukarr mala or Madayin processes. That is, if a new agreement needs to be made there are Madayin ways as to how we should talk, come together and how we should interact in these meetings to come to consensus decisions. In times of dispute we have Madayin processes that instruct us about how we move towards dispute resolution. All of our life processes from how to harvest and prepare our foods through to birthing [women’s domain], healing and health care, social, economic, dispute management, environmental care, living, interacting and even how to die, have Madayin processes that we should follow. The Madayin also has all our constitutional Law and all our wäyuk laws statutes covering criminal, corporate, resource sharing, religious Laws and sanctions that apply to the breaking of these laws. So the Madayin is an all encompassing system of law. Many people asked us where this Madayin law came from. Our Madayin law comes from time immemorial and was handed down to us from Waŋarr [Waŋ – arr] the Great Creator Spirit. Waŋarr sent two female creator spirits called Djangawu and Barama. Djangawu was a Dhuwa creator spirit that created all the Dhuwa  people, their yirralka estates of land and sea, gave them their languages and their Madayin Law. Barama was a Yirritja spirit creator and created all the Yirritja people, and their estates, giving them their languages and their Madayin Law. It was Barama and Djangawu who carried the Madayin law with them from Waŋarr and gave it to the people. So our Madayin Law came from the djalkiri [djal – kir – i] foundation of the world; when we first stood, the Madayin Law stood beside us. It came from the highest authority in the universe, Waŋarr the Great Creator Spirit, and so it should be respected and followed by all citizens and foreigners alike who come to our lands. This foundational law gave us the structure and process of our Law and made us responsible to maintain the Law and to paint our luku gamunungu legal paintings and maintain our Wäyuk Law statutes. What is hard here, for the newcomers to this land, is that our luku gamunungu legal paintings and wäyuk law statutes are not recorded in “black letters” on paper but our luku gamunungu legal paintings use coloured symbols and designs on bark and our Wäyuk Law statutes use coloured symbols and designs on special string that can be read by our Law men and women but not by “Australian” or “International” Lawyers. So our Madayin paintings and statutes are treated as artefacts, studied by artists, art collectors and investors or as religious objects studied by anthropologists but not by contemporary Australian lawyers or those who are interested in or responsible for Law and Order. So the Madayin is the Law in Yolŋu society. The idea that our Law is a rule of “old men”, “powerful individuals” or law of “pay back” comes from the dominant Australian culture stereotyped myth-making about our people. These ideas do not fit or make any sense to us; in fact they are a repulsive, lawless ideas to us. 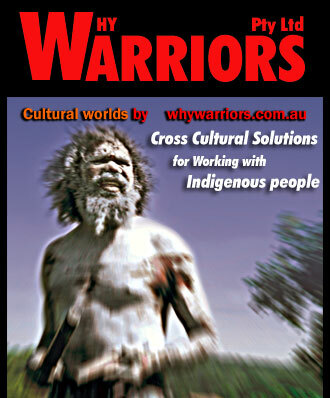 All Yolŋu people know that they are protected by the Madayin Law, from the smallest child to the oldest living person. It is strange, you know, that many of our people, especially young people think that Balanda Law is a lawless rule of “powerful individuals” and that there is no Balanda Law that can protect Aboriginal people or our personal or corporate rights. This was reinforced when the Howard government trashed our property rights and took our communities assets off us in 2007. So many of our young people now believe only powerful, lawless people have any rights under Balanda Law and they try to copy this lawlessness and now fill the Balanda jails. The Madayin Law is the defining standard and law that we all live by. So Yolŋu people are ruled by the rule of Madayin Law not by man. All of the Yolŋu Bäpurru Clans are recognised within the Madayin legal structure. Every Yolŋu person is a member of one of those Bäpurru Clans. The Bäpurru Clan own the Yirralka estates and have the economic and political rights at surface level of their estates. Within the Bäpurru Clan structure everyone is respected and protected within the political structure of the Bäpurru Clan. It protects our rights and gives us the processes so we can live together in a peaceful way. No one is seen as wakinŋu illegitimate, with no rights. This knowledge and structure unites the clan in a common purpose as they live, work, and learn together. Every member of the clan should, malthun mägaya-kurr dhukarr-kurr, accompany or dwell in the way of peace which the Madayin creates. As a clan they all together malthun mägaya-kurr dhukarr-kurr; practice the processes and ways of Law that create peace, tranquillity and protection; for all clan members. The Bäpurru Clans are connected together into federations (Riŋgitj Nation States). There are a number of Riŋgitj Nation States across north-east Arnhem Land with about five Bäpurru Clans in each federation. These Riŋgitj Nation States are all known to us by separate names. It is within the Riŋgitj Nation States that we have higher responsibilities and rights. The Riŋgitj Nation States each have their own Ŋärra’ parliament, constitution, army and national anthem. Each Riŋgitj Nation States holds the rights to the subsurface of all the Bäpurru Clans yirralka estates within each federation. So it is the Riŋgitj Nation States that determines all matters of sovereign rights and land title matters for the Bäpurru Clans within each Riŋgitj Nation State. Each clan also has selected political leaders. These political leaders are not always the head person of the clan which is usually the oldest male or female of the clan. The political leader can be the youngest of a line of brothers; they are selected by the people according to their political knowledge and ability and their personal good character and ability to listen to the people. In the Yirritja Clans they are called ḏalkarra and in the Dhuwa Clans they are called djirrikay. The ḏalkarra djirrikay are appointed to their position through an internal legal clan process call Gararrak for Yirritja people and Djudda for the Dhuwa Clans. Every member of the Clan and other members from other Clans that have a rom waṯaŋu relation to that clan are involved in this Gararrak/Djudda. The office of ḏalkarra or djirrikay (ḏalkarra djirrikay) holds the selected individuals to a position of account to uphold and maintain the Madayin Law and ways. During their ceremonial appointment they are hoisted up into a solid tree fork above all their Clan members where they take an oath reminding them that they need, like all of their clan members to be ŋayaŋu waŋgany and to malthun mägaya-kurr dhukarr-kurr. If they do not follow and uphold the Madayin Law and ways they can have their special political right and responsibilities taken off them; because it is the people through their legal processes that have given them this power so the people can also take it away. According to the Madayin law nobody can be harmed. If there is conflict between two people or say two families the ḏalkarra djirrikay should step in right away and guykthun – proclaim a legal sanction – over the aggrieved parties on both sides. This guykthun proclamation informs the aggrieved parties and everyone else around them how they must interact with each other, through the established processes, to resolve the dispute. One of the dispute resolution ways is the Walkindi rom dhukarr, traditional mediation process. Once the offender has had a guykthun proclamation proclaimed over them they are free to move about without fear of someone taking any illegal revenge on them; even in the case of murder. Where there is inter-clan dispute a guykthun proclamation can also be proclaimed over a house, allowing only the member of the owning clan to enter, creating a safe refuge for an accused person, so that Madayin dhukarr process can be set in place for the longer term protection of the accused. Law statutes are assented to by all the people. To do this the men and women of the clan go into the sea and immerse themselves in the water, while the Wäyuk Law statutes are held up above all the people, by the head Yothu or Djuŋgaya. (see below). Each Riŋgitj Nation State has a Ŋärra’ parliament where the Bäpurru Clans are all represented in the meeting of their respective Riŋgitj Nation State. There is also a top Yirritja Ŋärra’ and a top Dhuwa Ŋärra’ where all the Yirritja Clans and Dhuwa Clans and Riŋgitj are represented. Some people including some anthropologists have tried to tell us that our Ŋärra’ are not parliaments. But we know that our Ŋärra’ are our parliaments. This is where all the ḏalkarra djirrikay law men talk and teach and maintain Wäyuk acts of law. This can only be done when a Ŋärra’ parliament has been opened. A Ŋärra’ parliament has to be in session for at least 3 months and is a highly restricted place and does not have a public gallery inside the chamber; the public gallery is outside the restricted Ŋärra’ area. We also have smaller Ŋärra’ or chambers of law that are decision making places for all our smaller Riŋgitj alliances so decision making is done in a legal way following due process. These smaller riŋgitj alliances cover conservation and breeding areas, trade embassies, teaching campuses and many other forms of alliances between different Bäpurru Clans across Arnhem Land and beyond and have operated for tens of thousands of years. It is true to say that in many ways that our Ŋärra’ parliaments are very different from the Balanda parliaments. The Balanda parliaments have lots of arguments and show no respect for each other, like a lawless rabble, but in our parliaments we talk and talk firm but with respect at all times to the other members. The Ŋärra’ is a time when all the wäyuk acts of law are maintained and much teaching is done and decisions are made. When all the member’s are ŋayaŋu waŋgany, have a oneness of heart, mind and soul in relation to decisions taken and the work of the Ŋärra’, they accept the wäyuk acts of law but they still have not been assented to by the people, so they are not yet empowered. The Waṉa Lupthun process above has to be carried out by all the people before they are empowered. To start any legal process and organise things, the ḏalkarra djirrikay political leaders meet together in a closed meetings called a dhuni; a dhuni is like a confidential closed meeting much like a cabinet meeting or a corporate board meeting. Each Riŋgitj Nation State has a dhuni and the smaller riŋgitj alliances each have their own dhuni. There is also a dhuni for both the top Dhuwa and Yirritja Ŋärra’. The ḏalkarra djirrikay political leaders represent the wishes and interests of their own Bäpurru Clan in all of these dhuni meetings. Djuŋgaya are a special group of law officers or servants. They are sworn to their role, similar to police. They have a range of responsibilities including policing, corrective service officers, public servants, lawyers, legislation drafters, estate managers and workers. They take direction from the ḏalkarra and the djirrikay. Djuŋgaya work in these roles for their mother’s people. That means they are born in one clan and spend most of their life working for another clan. If their mother’s clan is Yirritja they will be from a Dhuwa clan, if their mother’s clan is Dhuwa they will be from a Yirritja clan. This relationship represents the well known yothu yindi relationship that existed in the Yothu Yindi rock band. However all clans in Arnhem Land are yothu to one clan and yindi to another. That is, Gumatj people in the rock band are the mothers’ people in the relationship. They are called the yindi big people and the Marika members are the yothu children of the Gumatj mothers. In this case the Gumatj people are Yirritja and the Marika people are Dhuwa. This yothu yindi and the Yirritja Dhuwa division create a separation of powers and roles between these two Clans. If the Gumatj (owners) have a legal process to undertake they will call their yothu (Marika, legal sworn workers) or Djuŋgaya to organise it and carry out all the work for them. Milak and Gäpan is seen as the authority that comes from the Madayin Law to keep the peace and apply sanction to Law breakers. Milak symbolises the military force and weapons of the Bäpurru clan and the Riŋgitj Nation States. The weapons that are carried by the Djuŋgaya are to protect the people and their estates and to keep the peace within and between the Clans. Gäpan is the body paint that is worn like a uniform when the ḏalkarra djirrikay and the Djuŋgaya and their associates are on official duties or on special occasions. If the Australian community really wants to solve the “crime” and escalating imprisonment rates that our communities are now experiencing, while increasing early intervention, and have a re-investment in justice with integrated support we need to find a way where there is a true rule of law and where real justice prevails. This can only happen when the Madayin law that we have assented to, for many thousands of years, is accepted by all as the Law of our region. For this to happen the Australian and NT governments need to start diplomatic discussions with our ḏalkarra and djirrikay political leaders and not some ad hock group of Yolŋu citizens chosen by the Australian or NT governments. We need to following the legal processes of both the Madayin and the Westminster system of Law. That is the only way the process will succeed. The issues discussed need to cover a whole range of things including land/sea rights, mining, mineral resources, minor and major criminal offences and many other things. This diplomatic dialogue might end up in some form of a legal treaty or a statutory harmonisation of both legal systems, the process will determine this. This process should be just as it is when the Australia government has diplomatic discussion with other governments like the Indonesian or New Zealand governments. It needs to happen through due process so that both Balanda and Yolŋu can accept it as legally valid. In 1957 our elders at Galiwin’ku brought out the Madayin constitutional law symbols. This was the first and only time these law symbols have been revealed. They did this so that the Balanda and the Yolŋu governments would come together and talk to each other in a diplomatic and legal way; but this dialogue has never happened. Then in 1975 the Australian government established the Lands councils under the NT Aboriginal Land rights Act 1975. When this happened the established Lands Councils started acting as middle men. I believe this was done for the convenience of the Australian government. Now we have to bow down to the NLC who act like puppets to both the Australian and NT Governments. When the government wants to talk to us about something they talk to the NLC or sometime they come themselves without invitation or appointments. Then the NLC send anthropologists to talk to us as individuals denying the correct legal Madayin process. These anthropologists and the government do not see us as having Law and systems of Law so they just talk to us as individuals or in mixed up illegal meetings like they are talking to us about football or some little thing. Then they want us to give them an answer straight away. Even though they have been talking about the issues for months back in Darwin or Canberra we have to come up with an answer in five minutes. This is making our people very angry and depressed and our young people very rebellious, by forcing us to do illegal things all the time. It is this lawlessness that will turn us into lawless people which some of our people are now acting out. We must return to a real system of LAW. When the Australian government deals with other nations they do it through proper diplomatic process. But it seems when these same people come to talk to us, they lose the ability to do things in a diplomatic way. There is no recognition of the fact that we have assented to our law for many thousands of years and we still consider ourselves a sovereign people who belong to different Riŋgitj Nation States. It is the Riŋgitj Nation States that hold the government for our yirralka estates and our people and they should be approached in the right legal way. Then we should hold our own legal meetings according to the correct Madayin processes and then give our legal response back to the government in our own time. The first people of this country need to be able to talk directly to the Australian or NT government and come to a negotiated agreement on how we live and work together into the future. We believe we have never been conquered and we are not subject to the Australian or British law but still maintain our own sovereignty. We still have our language and practice our Madayin Law and as one of the first peoples we assent to the Madayin law not Australian law. Still we want to find a way forward. So, if the Law we have always assented to is not recognised then there can never be a real rule of Law only lawlessness and true justice can never exist for our people and the communities we live in. So we will continue to fill up NT hospitals and jails. We have been legally marginalised from the mainstream Australian society and the result can be seen in all the bad statistics we have all heard so much about. I call for a new approach that will bring real law and justice, and make Australia a leader amongst Nations in relation to their Indigenous people. This can only be done by recognising us as the First Australian People and our legal system as the First Australian Legal System. Let’s start the real dialogue and find the real lasting solutions to the Law and Order issue. Reverend Dr Djiniyini Goṉḏarra OAM, Senior Elder Dhurili Clan Nation & Chairman of Arnhem Land Progress Aboriginal Corporation. Yolŋu means human/humans, person/people, now come to mean the Aboriginal people of north-east Arnhem Land. The underlined d is the d sound made with the tongue curled back in the mouth. All of Yolŋu society and the world around is divided into two halves. These two halves are called Dhuwa and Yirritja. All of Yolŋu lands their people their languages and all the living things on their lands and in the sea are divided by Clan, or species into either the Yirritja or Dhuwa group. Even the winds from different directions and the different coloured sunsets, fit into either Dhuwa or Yirritja groups. A Yolŋu person is either Dhuwa or Yirritja according to their father. If their father was Dhuwa they will be Dhuwa, if Yirritja the child will be Yirritja. Some Aboriginal people use these stereo-type myth terms that the dominant culture have created like “the rule of old men” or “pay back” but this does not make it our Law. These are English words that have come from ethnocentric colonial frontier origins. Since contact time Aboriginal people have been looking for English words to explain our Law and culture to English speakers. To do this they have picked up on the terms used by English speakers to describe our Law. Some use these terms without really understanding them. To really understand our Law, as it has existed for millennia, our own language terms should be used, with them explained in English, rather than use the very confused English terms with questionable origins. This does not mean that we do not have lawless people or people who carry out lawless act. Of cause all societies have people who do lawless things; that’s why all societies need a good strong legal system and structure to create peace and order and good government. Bäpurru is the paternal clan group. The term Bäpurru is both singular and plural. The mägaya – dhukarr (peace, security, serenity –road, process, way of life) that come from the Madayin Law and the Madayin dhukarr processes given to us by Waŋarr. The people who make up the group of Yolŋu called rom waṯaŋu walal (Law – owners – they are), of a particular clan, are made of different members of other Dhuwa and Yirritja clans.